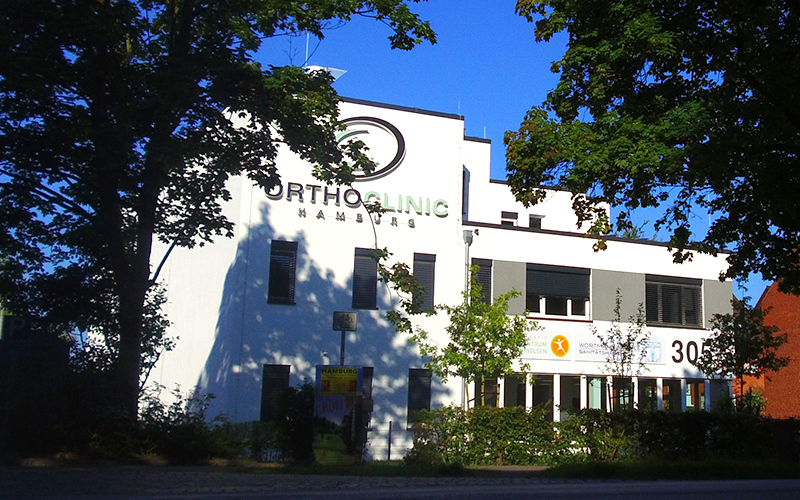 The ORTHOCLINIC HAMBURG is a specialised practice which focuses on both the diagnostics and surgical treatment of diseases and injuries of the entire musculoskeletal system (shoulder, hip, knee, hand, foot and spine). A team of experienced physicians, qualified in various orthopaedic specialities, carries out a detailed consultation to assess the patient's symptoms. We then develop a specific strategy which provides the best possible, competent treatment for our patients. Our aim is to find a solution appropriate to the patient's condition which can ideally be performed with minimally invasive techniques in order to minimise pain and shorten the period of post-operative treatment and convalescence. "Joint preservation before joint replacement". This is why we do not consider the option of surgical treatment until we have exhausted all possible conservative methods of treatment. We want to restore your enjoyment of physical activity and mobility! If our patients require surgery, we perform these operations in the Fleetinsel Hospital. Enhanced quality of life – Pain relief – Increased mobility.